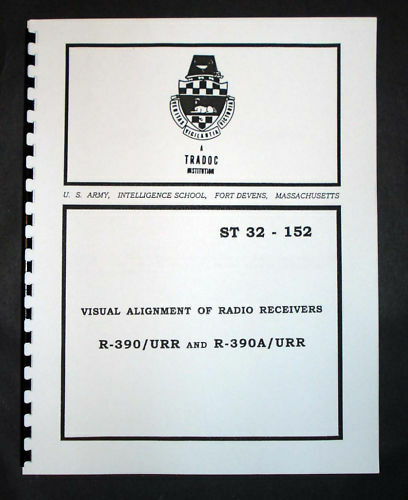 For sale is reprint of ST 32-152 Visual Alignment of Radio Receivers R-390/URR and R-390A/URR. U. S. Army Intelligence school, Fort Devens. Dated March 1969. 22 Pages filled with Data and Diagrams. 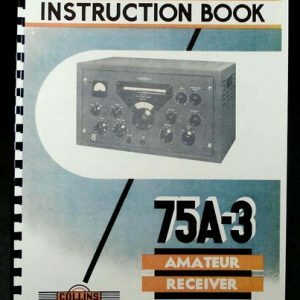 Hard to find, very useful for every owner of those great receivers. 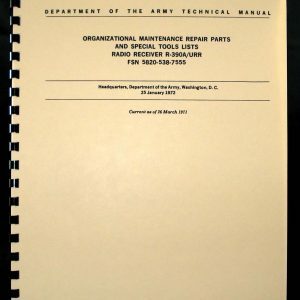 Manual is a scan of a clear photocopy. 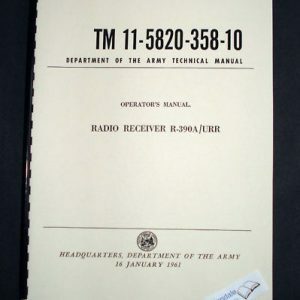 Text and illustrations are very readable but not as sharp as in first generation scans. Please bid accordingly. 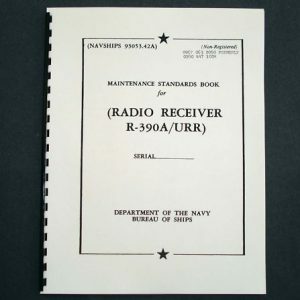 Description taken from manual: The purpose of this special text is to acquaint radio repairmen with the visual methods of alining the IF and RF stages of communication receivers. Specific consideration is given to the method which uses an RF sweep generator and oscilloscope.